Antimicrobial stewardship is becoming integrated into healthcare systems and is here to stay. But what does the future hold? 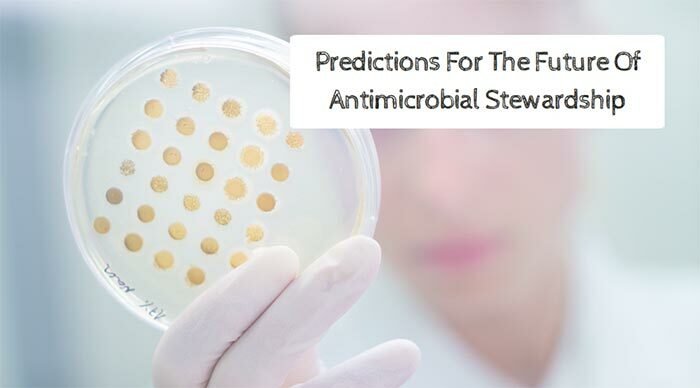 Learn here from insight provided by a seasoned antimicrobial steward. In over 30 years of practice as an infectious diseases (ID) clinical pharmacist, I cannot think of a more exciting time to be in the field of ID and antimicrobial stewardship. There is always new ID breaking news requiring us to stay on top of our game. It seems like there should be a “bug of the month” club for clinicians that would describe new multidrug resistant organisms and propose how to approach the next antibiotic treatment. It’s hard enough for ID experts to stay on top of what I call the “alphabet soup” of antibiotic resistance (e.g., KPC, ESBL, NDM-1, CRE, MCR-1). How can we expect non-ID clinicians to understand all this new resistance to antibiotics? This is why healthcare needs antimicrobial stewardship programs (ASPs). ASP pharmacists, physicians and team members have a golden opportunity. The sky’s the limit in my mind if we allow ourselves to seize the moment. Here, I identify four areas that I believe hold the key to the future for ASPs. We can no longer afford to wait 3-4 days to know the organism and susceptibility. RDT just makes sense and the studies all tell the same story. The faster we know the organism and resistance markers or susceptibilities, the faster patients receive effective antibiotics. It’s amazing to think that there is technology that allows direct from blood to diagnose candidemia in hours without waiting for growth from a blood culture bottle! It’s the star wars of RDT. Stay tune on RDT. I believe they will be the standard of care in all healthcare settings. The decades of passing out antibiotics like candy have finally caught up with the world. Back in the good old days we needed the “antibiotic of the month” club just to keep up with all the new “cephalosomethings” and “quinolonagain” antibiotics. Times have changed as the world runs out of effective antibiotics. This requires a reassessment of not only how we prescribe antibiotics but who prescribes antibiotics. ASPs could propose to follow the oncology model (only oncologists can prescribe chemotherapy) and have only ID physicians prescribe antibiotics, however it is not realistic. In 2016 58% of ID physician training programs went unfilled. The shortage of ID physicians will continue to grow. It has been proposed to educate or test physicians on antibiotics when they start working at a new hospital. 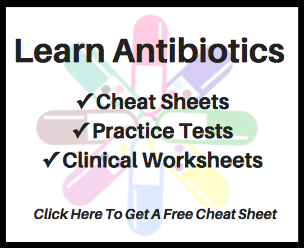 Demonstrating the ability to pass an antibiotic test does not mean the clinician can apply the knowledge at the bedside of a patient. Many antibiotics are prescribed “just-in-case” there’s an infection. I call it living in the moment (the patient in front of me today is who I care about) with disregard for future consequences (antimicrobial resistance). ASP pharmacists and physicians will play a role in overseeing antibiotics but the thought of having ASP approve every antibiotic would create a thankless job. I think the EHR systems need to provide meaningful help. Currently prescribers in some EHR systems can check any reason for prescribing antibiotics, without consequences. For example if the system asks if the antibiotic is for prophylaxis, empiric, or therapeutic the prescriber can click on any one of the three knowing no one confirms the accuracy of their choice. How does this help curtail inappropriate antibiotic use? It doesn’t, it just fulfills a proposed Centers for Medicare & Medicaid Services criteria for ASP. I think ASP’s need to lobby hard for better support from EHR to assist in meaningful antibiotic indications for use and bug-drug mismatches. Automatic weekly feedback to prescribers benchmarking their antibiotic use against their peers is the best shot at changing behavior. Every superbug is just a plane ride away. This requires ASPs to function as one world. The internet and social media (Twitter, Instagram, Facebook,) provides opportunities to engage with thought leaders, colleagues, consumers, and patient advocate groups just to name a few. Surgeons and oncologist are some of the highest users of antibiotics and often the most difficult to engage in ASPs. I haven’t found many of them reading the current issue of any ID journal so how can I expect them to know the latest antibiotic resistance issue? Guess what, you can find them on social media! I have met, engaged, and collaborated in research with some of the most interesting people on Twitter. Try following some surgeons and oncologists on Twitter. Tweet ID topics of interest to them and they will engage with you. Instagram is an example of a novel way to educate and engage people in ID and antimicrobial stewardship. Social media is a great way to stay engaged with ASP global advocates. You can teach the world, it’s powerful. Community outreach is also a social obligation of ASPs. Until consumers learn that antibiotics are a precious resource that should not be abused, consumers will continue to pressure doctors to prescribe them. Who better than an ASP pharmacist or physician to talk to grade school, high school, or college students about responsible use of antibiotics? Co-create a YouTube video to engage them in the topic, for example. If we make learning fun people will listen. Antibiotics are societal drugs and ASPs have been called upon to help society address antimicrobial resistance. ASP research in peer reviewed ID journals is necessary, however this will not engage or inform non-ID colleagues or consumers. Since we are all working towards the same goal of improving the responsible use of antimicrobials and decreasing antimicrobial resistance, we should collaborate and publish more often in each others journals. In addition to traditional journal publications other avenues should be explored such as blogs and websites. Blogs allow for more creative writing and often reflect personal experience from thought leaders or up and coming future leaders. In summary, antimicrobial stewardship is evolving, with a bright future ahead. It will be required soon in all healthcare settings and that creates amazing opportunities for pharmacists and physicians. I never want ASPs viewed as the cost-savings restricting antimicrobial program. If we are smart we will be viewed as the protector of a precious resource called antimicrobials. Responsible use will impact patient care and that’s why we do what we do.